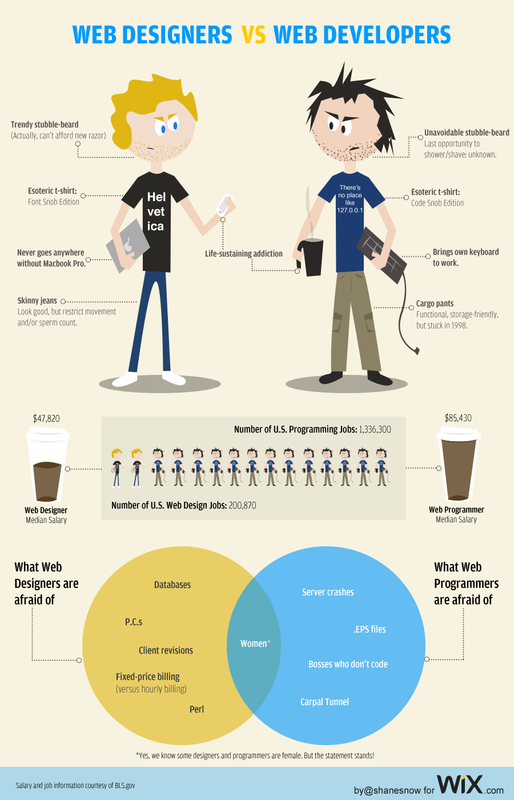 Web Developers vs Web Designers – Who Better? Web Designers are different from Web Developers. Designers sketch website while developers code. Web Designers are different from Web Developers. Designers sketch website while developers code. There are many other differences between two, from their salary to work. Let’s see the difference through pictorial form with statistically data.